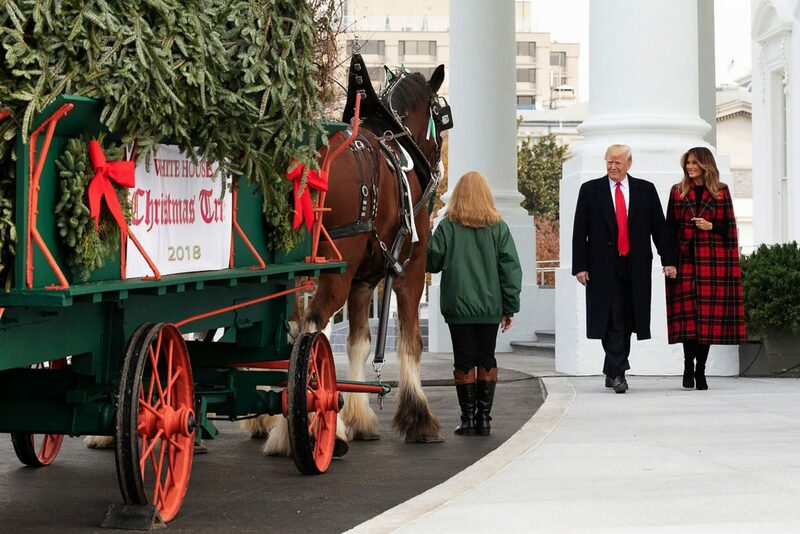 President Donald Trump and First Lady Melania Trump receive the White House Christmas tree on Monday, which arrived by the traditional horse and carriage. President Donald Trump and First Lady Melania Trump received the official White House Christmas tree on Monday. The Smith family of Mountain Top Fraser Fir in North Carolina presented the tree, which arrived by horse and carriage on the North Portico. The tree will be displayed in the Blue Room of the White House.